Out on the ocean, the waves crash down, upon sand bed and coral ground, the colours of day, azure and ivory, mist and rain, sun and midnight blue kiss from a mermaids lips. Thank you! 💕 A few days of no writing has given me some new inspiration! Thank you Antony!! 😄 mermaids are pretty amazing!! Awww you are so kind! 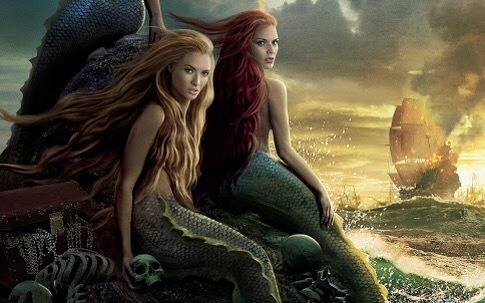 Mermaids they are great inspiration. I adore this image! Thanks Rich!!!! 🌸😄 Its been nice sharing some older poems! !